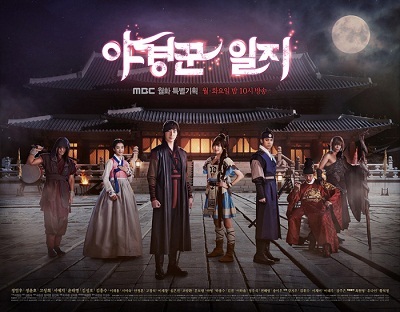 A fantasy romance drama set during the Joseon dynasty. This drama is about Lee Rin (Jung Il Woo), a prince who lives a lonely life outside the palace since childhood, even though he is born in the direct line of descent. Lee Rin has wealth and good looks but lives as a rebel to overcome internal struggles. Due to the fact that he can see ghosts, Lee Rin hides his secret and pain from childhood with a smiling face and playful behavior. After meeting Do Ha (Go Sung Hee), Lee Rin will be joining the team of night watchman and becomes a true prince after seeing the lives of the citizens as he helps get rid of the ghosts. The night watchman is crime prevention squad that used to patrol the streets from 9 to 5 at night to catch ghosts.